With 19 years of leading expertise across a number of markets, CEEMA Recruitment is well positioned to support candidates with their next placement. As specialists in both permanent and contract placements, the highly qualified team at CEEMA Recruitment can help you secure your next role and provide you with the necessary guidance and support to progress your career. If you are looking for your next role our team of specialists at CEEMA Recruitment have built exceptional relationships with key employers recruiting within these fields and are always on hand to advise and enhance your experience across permanent and contract roles. Furthermore, as an MOD-approved supplier of security cleared professionals, we possess the appropriate authorisations to conduct your security clearance and confirm your eligibility for work on security-related projects. 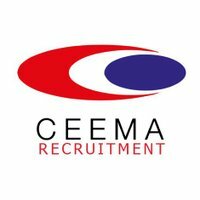 Contact CEEMA Recruitment today and let our highly skilled specialist consultants use their expertise to help you find your ideal placement.